The flood relief efforts in San Jose got a massive boost on Wednesday when a billionaire swept into town and made a multimillion-dollar donation. Kieu Hoang, the owner of the eponymous Napa winery, has made it his life’s mission to help people. To that end, he presented on Wednesday a $5 million check to city officials. Born in Vietnam, Hoang has made his wealth selling medical products and is a stakeholder in big pharmaceutical companies such as Shanghai RAAS Blood Products. Hoang moved to California at the end of the Vietnam War, and his net worth is estimated to be $2.8 billion, according to Forbes. Hoang first gave city officials a symbolic oversized check. Then he signed an authentic check and gave it to Mayor Sam Liccardo. “Mr. Hoang’s extraordinarily generous gift will make an enormous and immediate difference for the hundreds of flood victims who’ve been forced from their homes as a result of this disaster,” Liccardo said in a statement. Wednesday's contribution was made possible after Chieu Van Le, co-founder of Lee’s Sandwiches and a longtime friend of Hoang, connected the businessman with city leaders. 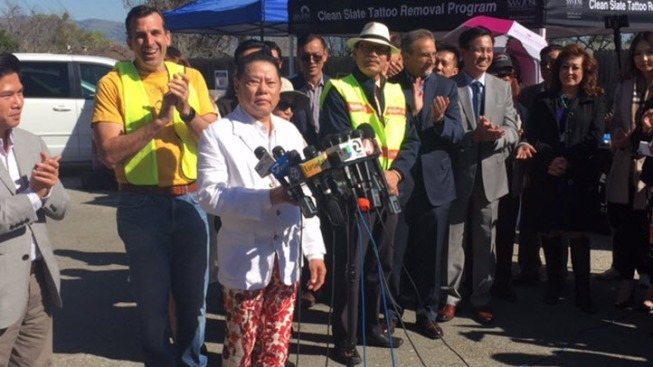 Council member Tam Nguyen on Wednesday took it upon himself to follow through with Hoang's wish that all the flood "victims will be helped in a timely manner." The contribution will be added to nearly $1 million in donations victims have received due to last week's historic flooding. Through nonprofits such as Catholic Charities and Sacred Heart, the funds are going to start being distributed as early as next week. "We'll help people navigate the insurance companies, navigate the benefits, make sure people if they need another apartment can get what they need," said Greg Kepfurle, CEO of Catholic Charities of Santa Clara County. More information about flood relief efforts can be found online. Officials are advising victims to contact their insurance companies and register at the assistance center located at 2072 Lucretia Ave. Those affected by the flood, can find information on how to receive assistance from the city. The city and flood victims are looking for volunteers to help clean up and repair homes. Those interested can sign up on the city's website. NBC Bay Area's Ian Cull contributed to this report. Editor's note: This article incorrectly referred to Kieu Hoang as a Bay Area billionaire. While Hoang has a business in the Bay Area, he does not live here.